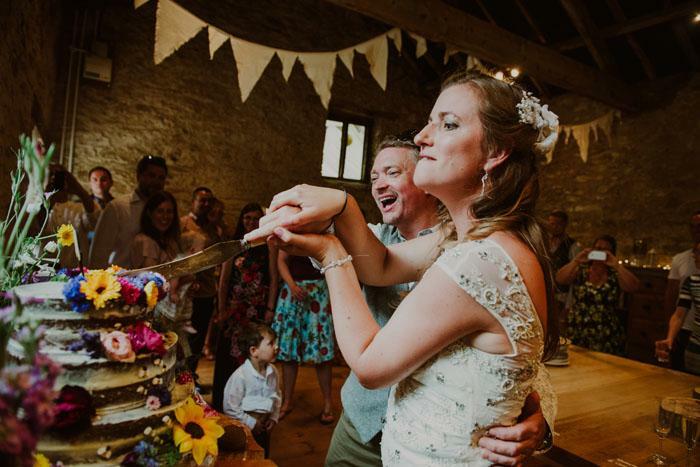 The Deer Park specialises in fun, original, made-to-measure weddings. With more than 80 acres of spiffing grounds, featuring wild flower meadows, woodland walks, manicured lawns and riverside trails, the team think you’ll agree that the 18th century Georgian mansion is a delightful bundle of wonderfulness. The utterly delectable 18th century house is licensed for civil ceremonies and is perfect for exclusive-use weddings, accommodating up to 60 wedding guests in the main house for intimate celebrations and up to 180 guests in the stunning Georgian Orangery. Wonderful whatever the season, you can tie the knot in the secluded secret garden, surrounded by wild flowers, or inside the pretty country house. Other venues exhibiting: Bovey Castle Eden Hotel, Mercure Southgate, St Mellion, Ocean, Highbullen, Bodmin Jail, Richardson Hotels, Harbour Hotels, Sandy Cove, Tawstock Court, Best Western The Dartmouth Hotel Golf & Spa, The Eden Project. 14 & Sixpence is a friendly spacious bridal boutique offering a fabulous collection of beautiful bridal gowns. There are also bridesmaids’ dresses as well as veils, shoes and even a lucky sixpence. 14 & Sixpence will be showcasing its 2018 designer collections including The French Collection by Wendy Makin. 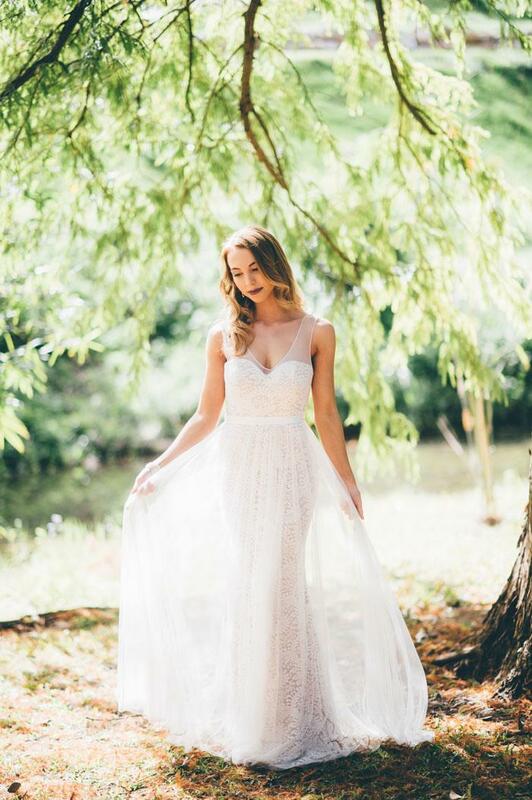 This stunning range is for any bride looking for a soft romantic gown, with French laces and beautiful flowing fabrics – ‘Solene’ is just perfect. Other bridal business exhibiting: Prudence Gowns, TL Bridal, Pirouette, Lovely, Browns of Totnes. 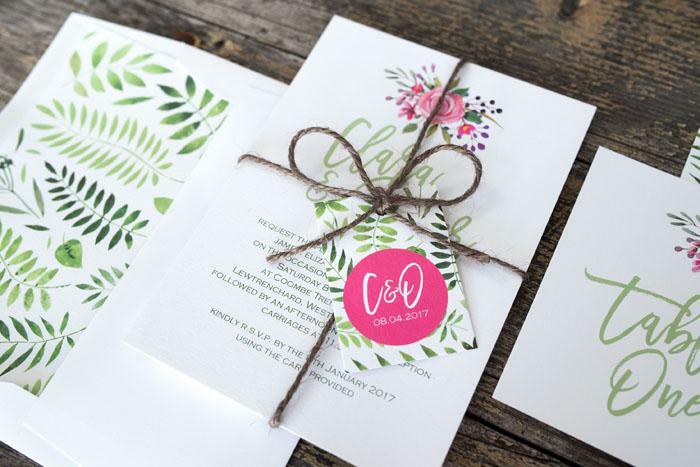 Other stationers exhibiting: Pop Goes The Weasel, The Illustrated Invitation, Helena Willford, F3 Design, Cherry Pickle Designs, Invitations by Hand. 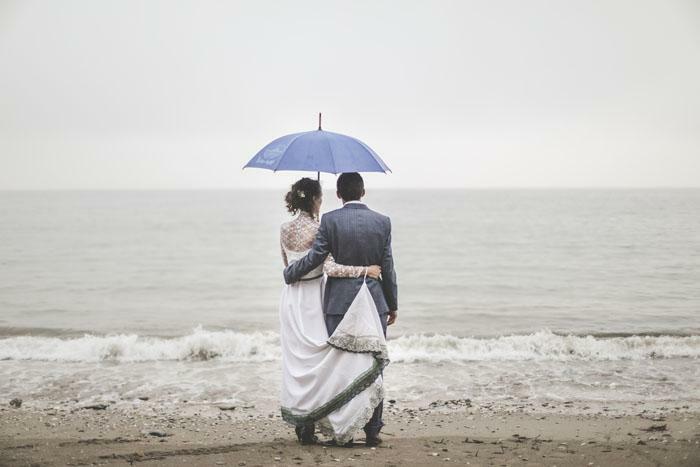 Thomas Frost Photography captures natural and relaxed images that truly represent a wedding and the couple. Tom tells the story of the day as it unfolds, covering every little detail so that the couple will have a pictorial record of the day. Tom is constantly on the hunt for tears, laughter and love; it’s these emotions that create special images. 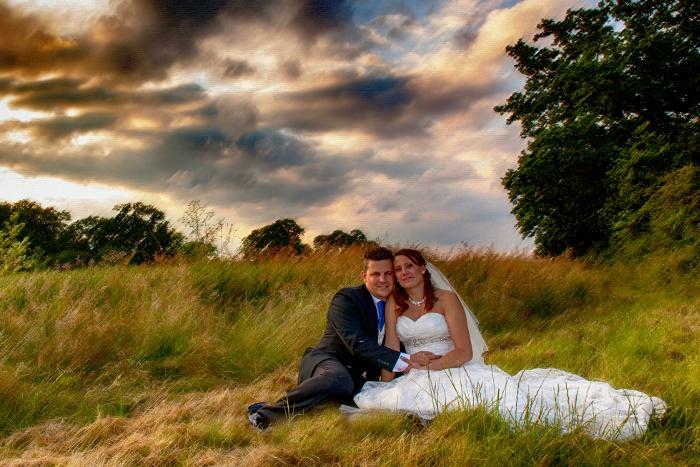 Colin Rimmer of Hart Photography is a wedding and portrait photographer. Colin wants the bride and groom to know that their wedding day is as important to him as it is them, so he likes to meet at least twice before the big day to get to know them, find out their likes, dislikes, style of photography wanted. Colin wants to know everything about their plans, colour schemes, flowers, the lot. It is his belief that only by doing this can he provide a first-class service and give them moments they can treasure. Other photographers exhibiting: Kirsty Matthews Photography, SASO Ltd, Love Day Photography, Little Red Book Photography, Mimosa Photography, Will Reddaway, Vanessa Wedding Photography, Jonathan Neale Photography, Twisty Focus. Glitz Photo Booth is a photo booth company offering high-end glitz and glamour. 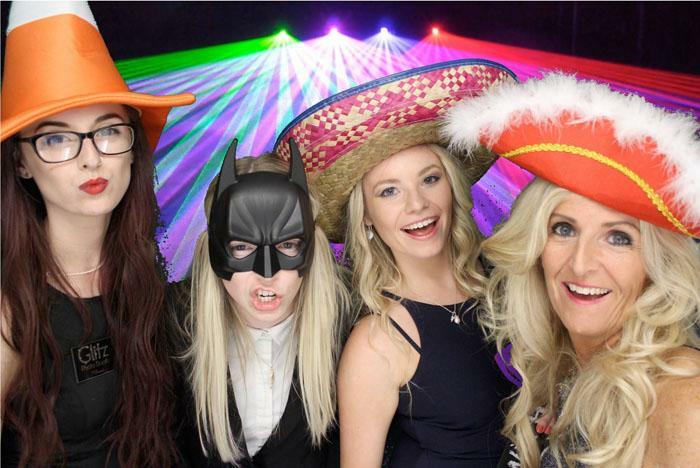 Glitz Photo Booth offers different coloured curtains to blend in with your colour schemes and fun experienced members of staff to assist your guests. Other photo booths exhibiting: West Country Photobooths, South West Photo Booths, Vintage Camper Booths, Prism Photobooth. Unique Designs by Tina hires decorative items to couples to dress their wedding venue. 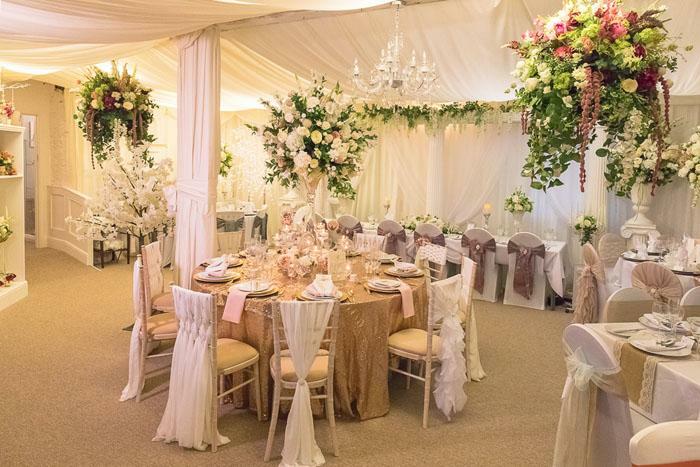 Unique Designs by Tina stands out from our competitors by offering a bespoke service from its large showroom, and offering the service of dressing the venue for you. Bride: The Wedding Show returns to Westpoint Exeter for its second spring edition from March 24 to 25, bringing with it a host of wedding inspiration and ideas to plan your perfect day. There will be a marquee of wedding transport, delectable cakes, amazing floral displays, a sensational catwalk show taking place three times each day, live music, a champagne bar and much more. Tickets are £5 each or £15 for a group of four when booked in advance (booking fees apply). Tickets are £7.50 on the day. Book your tickets for Bride: The Wedding Show at Westpoint Exeter now.